Available in 8mm and 16mm thickness, AquaDrain® T+ ensures rapid and permanent drainage of the covering structure. The system also serves as a protective layer and filter layer and due to the large contact areas of 66%, high point loads are avoided. 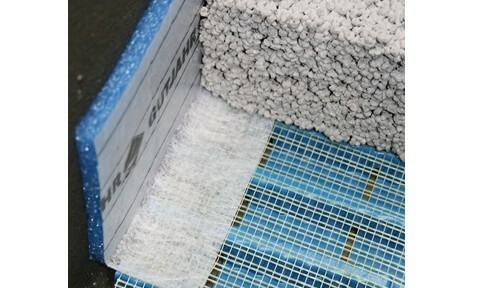 Use with AquaDrain® drain grates, ProFin® edge profiles and ProRin® guttering for balcony installations. Join roll edges with AquaDrain® SK sealing tape.Use with direct point adhesive method for thin build-ups. Available in 8mm and 16mm thickness for variable height build-ups, AquaDrain® T+ ensures rapid and permanent drainage of the covering structure. The system also serves as a protective layer and filter layer and due to the large contact areas of 66%, high point loads are avoided. Use with AquaDrain® drain grates, ProFin® edge profiles and ProRin® guttering for balcony installations. Join roll edges with AquaDrain® SK sealing tape. Use with direct point adhesive method for thin build-ups. 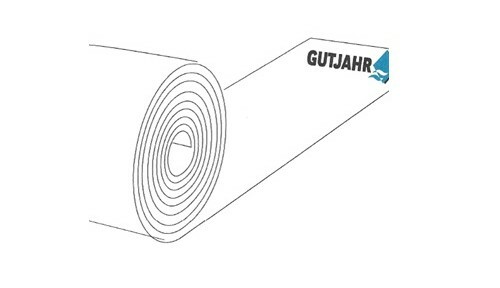 Non-woven self-adhesive tape for covering the joints between AquaDrain® T+ and AquaDrain® EK capilliary passive drainage mats ensuring rapid and permanent drainage of the covering structure.